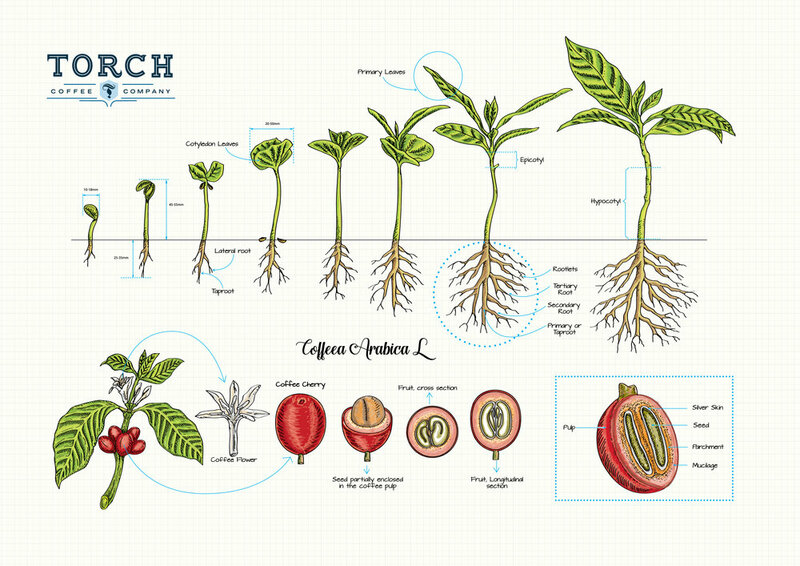 Our newest infographic displays the growth process a coffee plant from the moment it breaks free from the ground to the time when the plant flowers and bears its fruit. The Torch Intervention model explains the poverty cycle that many smallholder coffee farmers face. It is our belief that education is the key for many farmers to break from this cycle. This is a great tool to help you be more knowledgable about this issue. How does this issue effect you? We encourage you to think about your personal role in the coffee industry and what you can do to help their plight. The Torch Coffee Processing Booklet is an amazing resource developed by our team to help farmers and processors to easily track their coffees development throughout the year as well as through the harvesting and processing seasons. 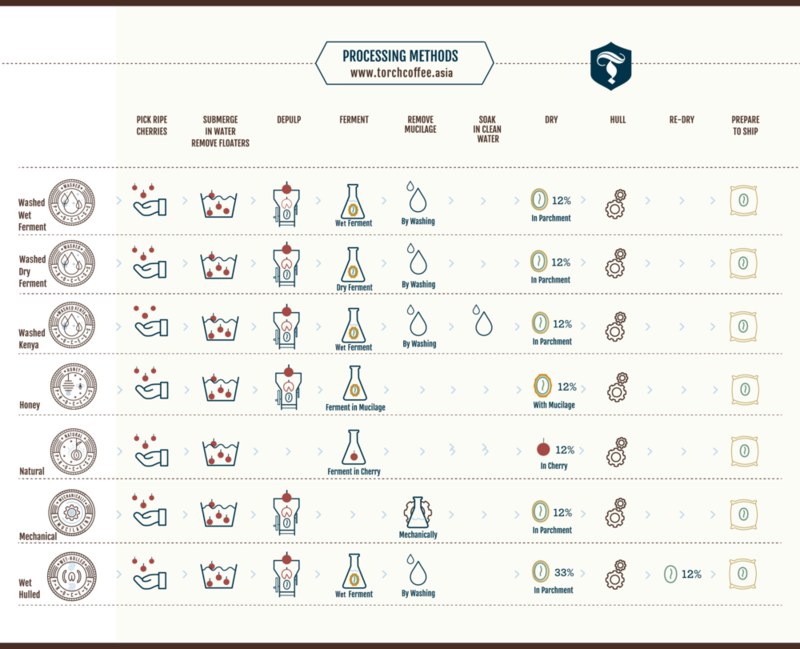 This matrix explores and illustrates how processing of the same coffee can affect the final flavor in the cup. However this is only applicable to the farm where the experiments were conducted. Things like "terroir" and cultivar will also affect the flavor. This may not be applicable to another farm. However as we do new experiments on new farms it gives us a grid to plug in our flavor notes. Enjoy! This map details the coffee growing regions of the "Bean Belt". Although many variables can affect the final flavor notes of a coffee, in general growing regions have certain flavor characteristics that define it. For example, African coffees can have fruitier and brighter profile compared with Latin American coffees that portray nuttier and spicier notes. You can download the full resolution print-quality poster below.